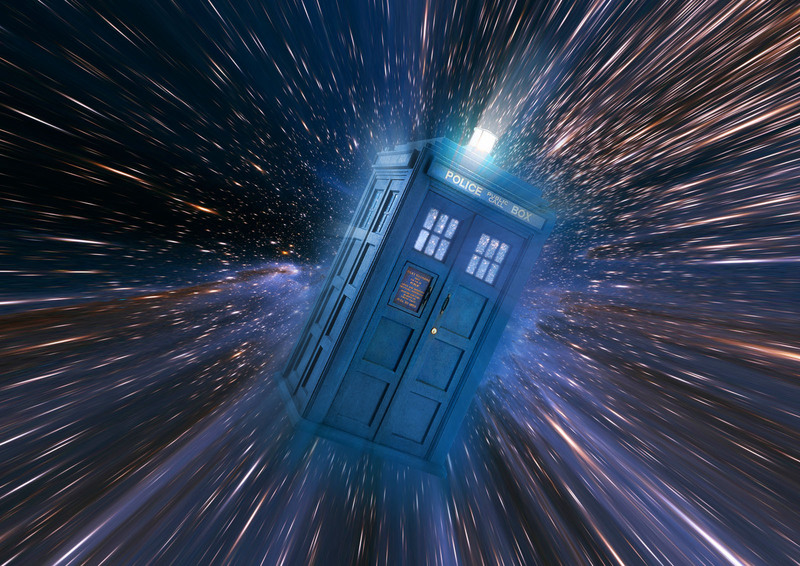 Time Travel…A Tale of Sales Tool Evolution! The tools of the [sales] trade have changed remarkably since I began my career 20 years ago. That fact struck me on a recent business trip to San Diego even harder than the strange weather (It was 30 degrees warmer in Chicago than Southern California – in March!). On this trip, I got more work done during my flight than I could have done over the course of an entire week 20 years ago. It was truly like time travel. Yes, sales tools have changed…Actually, sales tools have been radically transformed over the past 20 years. Only after the day had ended, when I was eating dinner and reflecting, did I piece together just how amazing the transformation has been. Here is a summary of the tools that I leveraged. First, the travel itself. I booked my trip through Travelocity, managed my trip through Tripit on my iPhone, and boarded the plane (using my mobile boarding pass of course). In the “old days” this would have called for me collaborating with a travel agent via phone while the agent looked up options on their private terminal. Then, I would have received physical tickets in the mail, and checked in at the airport to receive physical boarding passes. On to the research. I began by the exploring the backgrounds of the clients with whom I was to meet, literally gathering more information than a team of people could have done over several days in the 1990s. I accessed bios on each attendee of my meetings via LinkedIn, then accessed breakdowns on their company via Data.com and Google Finance. Finally, I Checked Radian6 and HootSuite for any social media postings by or about them or their company. Then there was the preparation of meeting materials. While in the air for the 4 hour flight (which used to be 4 dead hours) I worked on my PowerPoint presentation, connected to the in-flight wi-fi on American Airlines, collaborated with my co-workers via Skype to complete the presentation, then emailed it to my team at the destination. Suddenly, Radian6, my social media listening tool flagged a newly published article about another key client of mine. Before I landed in California, I had clipped that article, emailed it with a congratulatory note the my key contacts at this important client, and landed a meeting with their CEO, all of which was neatly and automatically tracked and summarized in my cloud-based CRM system, salesforce.com. On the way to my meeting, I called up the mobile version of salesforce.com on my iphone, downloaded a map to the meeting place, called my contact, and logged a note to remind myself of our conversation. Amazing. Nothing short of stunning, really. This is such a fundamental paradigm shift for someone who began in sales at a time when the fax machine was breaking its own paradigm of physical document delivery (Remember?…”It sends the contracts over the phone lines as data and then re-assembles them on the receiving machine!”). So, before jumping into your next big day, take a moment to reflect and appreciate the progress we’ve made. This entry was posted in Sales, Social Media and tagged American Airlines, Customer relationship management, Data.com, Doctor Who, Google Maps, Hootsuite, iPhone, Linkedin, Radian6, Sales, Salesforce.com, San Diego, Social Media, The Doctor, travelocity, tripit on March 26, 2012 by Tim Kocher. You bet, Amanda. Really powerful platform. Radian6 and salesforce.com are my [not so] secret weapons! Great post! It won’t be long before we utilise mobile data mining and predictive analytics integrated with CRM and social media to give us recommendations on how to close a deal or how likely a customer is going to churn based on real time data. Thanks again for the enjoyable article. Thank you for sharing. I agree with you on the growing power of analytics. Like the ERP era, now that we have the transactional foundation in place, how do we pull useful information from all that data? It’s a logical step. Looking for a chip in my head soon!